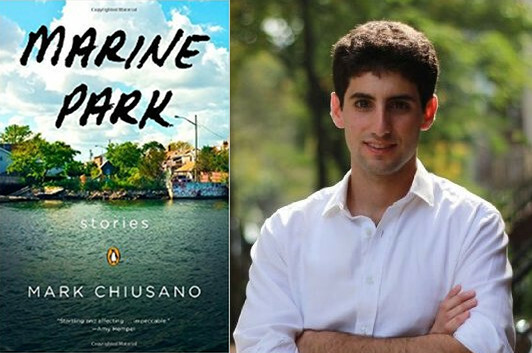 Though the initial stories in Marine Park are focused on a boy and his brother growing up in the far end of Brooklyn, near the park that gives the collection its name, Mark Chiusano has plenty of other characters to introduce us to, like the couple whose romance rises and falls in the shadow of the Manhattan Project, or the chain of people linked by their sexual histories in 1970s New York City, or the old man who’s called upon to make one last smuggling run in the waters just off the outer boroughs. 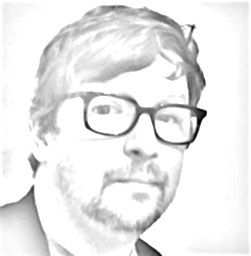 A few of these stories hint at the expansive time frames Chiusano talks about taking on in this essay—which discusses how to fit a great deal of time into a relatively small amount of prose. For my day job I work at Vintage Books, where I’ve been working recently on a new project called Vintage Shorts, a program that pulls small sections from our old books for timely anniversaries or events in order to introduce readers to books they might have missed. Working on the project has had the side effect of introducing me to plenty of books I’ve missed. Two of them are Margaret Atwood’s story collection Moral Disorder and Geoffrey C. Ward’s biography of FDR, A First-Class Temperament. At the time I’d been trying to train myself in my own writing to lengthen out the time-frame in stories—many of the stories in Marine Park take place over days or hours, and I’d been experimenting with widening that scope. Reading A First-Class Temperament was an ideal way to increase my stamina, as it were. Ward’s book is one of those fantastic, monumental, expansive and all-encompassing portraits of a historical figure—First-Class gets particularly close to Roosevelt as he struggles with polio, outlining the painstaking details of learning to “walk” again (he never would). Ward himself suffered from polio as a child and the attention to physical detail in his writing is palpable. In one of my favorite chapters from the book, Ward describes the two years in which Roosevelt goes from being a hermetic cripple to a political player once again, bookended on one side by his failed attempt to crutch himself into his old law office, and on the other by his journey down the aisle at the 1924 Democratic Convention to deliver the fabled Happy Warrior speech in support of Al Smith (“happy warrior,” a phrase from Wordsworth, wasn’t FDR’s idea, by the way: he thought it was far too poetic). The chapter has the arc of a short story, with the repetition of attempts to walk at beginning and end, supported by a middle section in which FDR escapes on his houseboat Laroco for a spring cruise off the coast of Florida, a change of scenery that allows the reader to learn more about Roosevelt’s state of mind at the time (though Roosevelt hid it well from his houseboat guests, he sometimes couldn’t bring himself to leave his bed until noon) before the climactic events of the ending. Simple temporal section-openers like “At around eleven o’clock on Monday morning,” and “In February 1923, Franklin received from an old friend in England an elixir,” or “At around two-thirty in the afternoon of Monday, February 4, the Laroco anchored off St. Augustine,” are the bare-bones of nonfiction, but became useful in my fiction to help stories cover months and years. Ultimately it’s an animal (a lamb) that provides the excuse to clarify the uneasiness in the story that has been present from the very beginning. I won’t do your proverbial spoiler here, but it’s such a perfect ending that it made me want to read as much Margaret Atwood as I could get my hands on—great for my reading life, less temporally beneficial for my writing one. I’d still like to have twice as much time for both, but until then I’ll keep looking for ways to expand it artificially.